Sometime in my mid-teens, I asked to join the CYO basketball team at the parish church in my New Jersey hometown. For the uninitiated, CYO stands for Catholic Youth Organization, and it was the group to which my two best friends belonged. Jimmy Lyons lived across the street from me, and Tim Mulligan was his buddy from parochial school. Needless to say, I was Jewish. While we were all incidentally aware of the religious and cultural difference between us, those distinctions vanished in favor of all we shared—sports, Top-40 songs, endless hours of conversation. In the end, I was not permitted onto the CYO team, playing instead for the local JCC, but I spent a great deal of time around the religious rituals of the Lyons and Mulligan families, everything from Sunday suppers after Mass to the wakes and funerals for Jimmy’s father and Tim’s older brother. Only years later did it occur to me that the friendship I enjoyed with my Catholic peers stood at a startling remove from the experience of previous generations of American Jews, including my own nuclear and extended families. My father and several uncles told me stories of their childhood confrontations with Catholic kids who called them Christ-killers. When my mother, in her early twenties, fell deeply in love with a Catholic man and announced her intention to marry him, my grandmother responded in Yiddish with words that translated as, “They’re the ones who killed my family.” She conflated an Italian-American who had fought against fascism in World War II with the Nazis who slew nearly all her relatives in Poland. This personal trip through the past has a larger point. The distinction between my experience of Catholics and that of my parents’ and grandparents’ generations was not, as I naively might have assumed years ago, just a matter of coincidence or the simple passing of time. What felt like merely an individual experience was actually one facet of an overarching and intentional transformation in Catholic-Jewish relations. Jimmy Lyons and Tim Mulligan, born like me in the mid-1950s, came of age in the era of the Second Vatican Council. In its landmark 1965 document Nostra Aetate, the Roman Catholic Church recanted centuries of teaching that the Jews, as a people, had killed Jesus Christ and as a result were cursed. Beyond removing the taint of deicide, Nostra Aetate went even further, calling Jews “beloved by God” and attesting to the Jewish identities of Jesus, his parents and the disciples. Drawing primarily on three chapters from Paul’s Epistle to the Romans, Nostra Aetate continued to proclaim the infallibility of the Church while radically altering what Catholic theology said about Jews. John Connelly recounts the intricate story behind what he rightly calls a “revolution” in this rigorously researched and deeply important book; in fact, he does even more than parse the events that led to Nostra Aetate. He reveals a history in which Jews were important as the architects as well as the objects of theological overhaul. 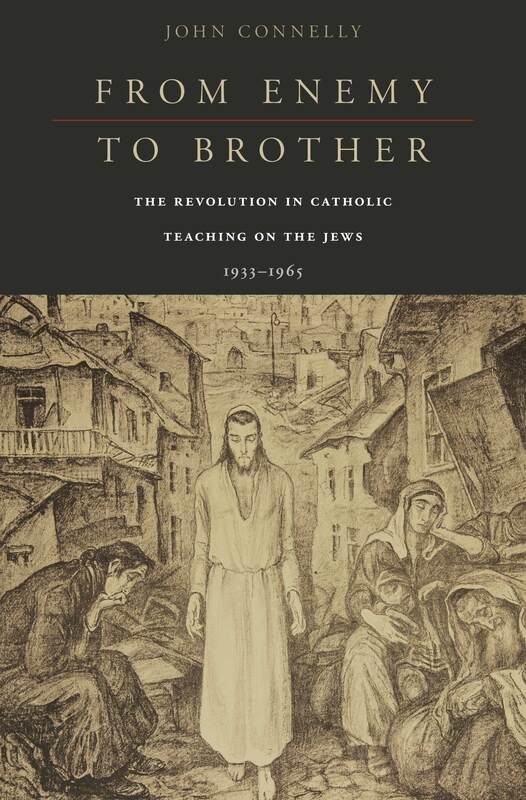 One of the central figures in the revision and reform of Catholic teaching about Jews was the priest Johannes Oesterreicher, a Jewish convert to Catholicism, whose parents both died in Nazi camps. In Connelly’s telling, at least a half-dozen other Jewish converts played key roles in reshaping Catholic thought on Jews. Oesterreicher’s intellectual foil, and ultimately his most important ally, was Karl Thieme, yet another convert, albeit from Protestantism rather than Judaism. Connelly telescopes this drama into 32 years that start with Hitler’s ascent to power and end with the adoption of Nostra Aetate. In the middle of that time period, of course, falls the Holocaust. Yet, as Connelly makes clear, it is much too simple and linear to suggest that the Holocaust alone—as the horrifyingly logical conclusion of anti-Semitism and as an atrocity the Vatican failed to consistently or adequately protest—provoked the Catholic change of heart. Rather, internal dissidents such as Oesterreicher and Thieme took their stand early in the Nazi years against the many “brown Catholics” in the German Catholic establishment, and by extension against centuries of Church orthodoxy on the subject of Jews. That may be applicable maybe! in the U.S.A.
Not for somebody grown up in a Christian/Catholic environment. Besides, have you ever heard of Tshuva? The holy see ha made Tshuva vs. the times of John XXIII. Read Minerbi, scion of an old Italian Jewish family and former ambassador of Israel in Rome, for the two states, Italy and the Vatican. He is not American, he has inside experience from the thick of the fray. These so-called Catholic/Jewish relations are nothing more than a clever window dressing by the Vatican. Christian theology canoot depart from its key dogmas, i.e. original sin and Jesus being the only way to God. If a Jew were to touch these, and many others, that friendship would quickly disitegrte. While you are correct about the pope extending a hand in friendship to the Jews, he did not absolve the Jews in Jesus’ death, but merely instructed not to teach that because it sows hate. I was recently told by my Assyrian Christian hairdresser hat her 6 year old daughter was in the Easter play at her church and they were reenacting Jesus’ imprisonment and death at the hand of the Jews…because that is what their pastor taught them. Apparently, he did not get the memo. And another generation is taught to hate.